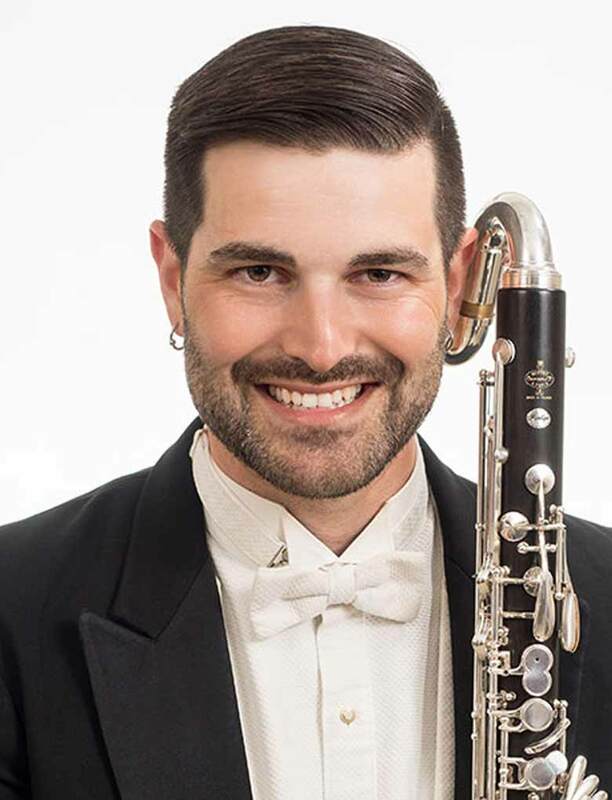 Currently, Calvin Falwell holds the 3rd/Bass Clarinet/Utility chair with the Sarasota Orchestra in Sarasota, FL and is on faculty at the University of South Florida. During the summer months can be found performing with the Charlottesville Opera Festival in Charlottesville, VA.
As an orchestral musician Calvin held positions with the Sarasota Opera Orchestra and the Orlando Philharmonic Orchestra. Calvin has also appeared with the Fort Worth Symphony, Florida Grand Opera, Miami City Ballet, Florida Orchestra, Louisville Orchestra, Lexington Philharmonic, Opera Tampa, Opera Naples, Palm Beach Symphony and Pittsburgh Opera among others. Additionally, Calvin has toured internationally with the Hollywood Concert Orchestra. Former faculty appointments include The College of New Jersey, Holy Family University, Wilmington University, Hartwick College Music Festival, Blue Lake Fine Arts Camp and AMEROPA Chamber Music Festival. His principal teachers and mentors include Paul Demers, Ron Samuels, Tim Zavadil and Dallas Tidwell. Both Calvin’s BM and MM are in Clarinet Performance and are from the University of Louisville and Duquesne University respectively. Calvin is both a Buffet Group USA and D’Addario Woodwind Performing Artist, performing on Buffet Clarinets and D’Addario Reeds exclusively. Calvin lives in Florida with his wife Kerry Falwell, son Zachary and their two cats Ronald & Callie. When not playing clarinet Calvin is an avid cyclist and races for Team GearLink.